The Tecnifibre Carboflex 125 NS X-Speed is Nour el Sherbini’s signature racket. This Egyptian wunderkind won the U-19 World Junior Championship when she was only 13. Now, at the age of 22, she’s a holder of two Ladies’ World Championships titles and the current world number 1 (March 2018). Her explosive and offensive game is a pleasure to watch and it’s great that she’s got her own signature racket available to all of us. Actually, the Tecnifibre Carboflex 125 NS X-Speed is practically identical to the Tecnifibre Carboflex 125 X-Speed from Mohamed ElShorbagy. However, when you hold the racket, you notice immediately one big difference: the grip of 125 NS X-Speed is a lot thinner. Tecnifibre has consciously designed a racket with a thinner grip size to fit better to the average size woman's hand. This racket is also a good choice for juniors and men who find the 'standard' grip size too thick and prefer a slightly thinner grip. Another minor difference between the two top models of the X-Speed series is purely cosmetic: the Tecnifibre Carboflex 125 NS X-Speed is blue with red and white accents and has a fresh design. The Tecnifibre Carboflex 125 NS X-Speed offers a fantastic combination of power and manoeuvrability. The racket has been designed to meet the needs of today’s squash players who like to volley a lot and are creative in their tactical decisions. With this racket you generate a lot of ball acceleration with little effort and can play the ball back even with a short swing. The sweet spot of the elongated teardrop racket head is larger than the average, making the Tecnifibre Carboflex 125 NS X-Speed very forgiving. Besides power, the Tecnifibre Carboflex 125 NS X-Speed also offers excellent control. Tecnifibre has redesigned the upper part of the shaft and the new design provides extra ball control and excellent response from the strings. 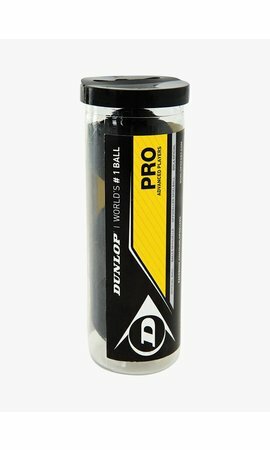 The relatively small openings between the strings make it possible to place the ball very precisely and with this slightly head heavy racket you can easily play a winning shot. In order to reduce vibrations that occur during a ball contact, Tecnifibre has elongated slots on both sides of the shaft with an elevation in the centre, reinforcing the frame and reducing the flexibility of the Tecnifibre Carboflex 125 NS X-Speed. The new bumper with perforations makes the racket lighter and even more agile. The racket comes with the Squash Dry Grip that absorbs moisture perfectly and prevents the racket from slipping out of your hand. The full-size cover has a handy shoulder strap that allows you to carry the racket comfortably. A top racket with a thinner grip.